How we collect and store information depends on the page you are visiting, the activities in which you elect to participate and the services provided. You can visit many pages on our site without providing any information. Other pages may prompt you to provide personal information when you register for access to portions of our site, sign up for membership, request certain features (e.g., newsletters, news updates and other products), upload content to our user content areas or make a purchase. You may also provide information when you participate in sweepstakes and contests, voting and polling activities, and other interactive areas of our site. Like most websites, The Bar Fly.net may also collect information automatically and through the use of electronic tools that may be transparent to our visitors. For example, we may log the name of your Internet Service Provider, your internet protocol ("IP") address, and information provided by and about your browser. We also may use "cookie" technology or other tracking technology for purposes such as storing your user name and password, to spare you from having to re-enter that information each time you visit, or to control the advertising you see on our site. As we adopt additional technology, we may also gather information through other means. In certain cases, you can choose not to provide us with information, for example by setting your browser to refuse to accept cookies, but doing so may limit your ability to access certain portions of the site or may require you to re-enter your user name and password. However, we may not be able to customize the site's features according to your preferences. However, you may use the "Email" feature to send links to articles and other information from our Site to others through email. The email address(es) that you supply to us through this service will only be used to send the requested article or other information. Personal information collected by The Bar Fly.net may also be used for other purposes including but not limited to site administration and troubleshooting. Certain third parties who provide technical support for the operation of our site (our Web hosting service and our newsletter provider, for example), or who provide billing, processing, shipping, promotions management or email management may also have access to information you have provided to complete a function or transaction. Aggregated Information (information that does not personally identify you) may be used in many ways. As one example, we may combine information about your usage patterns with similar information obtained from other users to learn which pages are visited most or what features are most attractive. Aggregated Information may occasionally be shared with our advertisers and business partners, but cannot be used to identify or contact you individually. We may disclose your information in response to subpoenas, court orders, or legal process, or to establish or exercise our legal rights or defend against legal claims. The quality information on The Bar Fly.net is supported by advertising revenue, and a controlled program of email marketing is an important element of our online publishing business. From time to time we may send email that advertises our own products and services, and email that advertises the products and services of our advertising partners, to Registered Members who opted in to receiving such advertising email when they registered for a The Bar Fly.net account. In the future, we may allow other advertisers to directly send advertising email to Registered Members who gave us permission by opting in to receiving such email advertising when they registered for a The Bar Fly.net account. 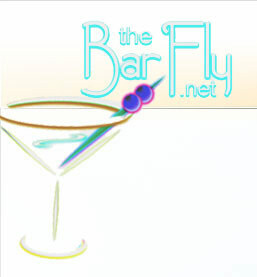 The Bar Fly.net expects its partners, advertisers and third party partners to respect the privacy of our users. However, third parties, including our partners, advertisers, and other content providers accessible through our site, may have their own privacy and data collection policies and practices. For example, during your visit to our site you may link to, or view as part of a frame on a The Bar Fly.net page, certain content that is actually created or hosted by a third party. Also, through The Bar Fly.net you may be introduced to, or be able to access, information, websites, advertisements, features, contests or sweepstakes offered by other parties. 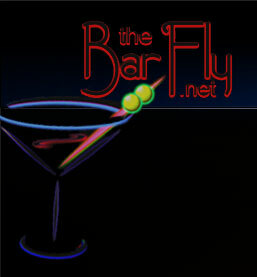 The Bar Fly.net is not responsible for the actions or policies of such third parties. You should check the applicable privacy policies of those third parties when providing information on a feature or page operated by a third party. Please be careful and responsible whenever you are online. Should you choose to voluntarily disclose personal information on our site, such as in reviews, comments, forums, or in advertising or notices you post, that information can be viewed publicly and can be collected and used by third parties without our knowledge and may result in unsolicited messages from other individuals or third parties. Such activities are beyond the control of The Bar Fly.net and this policy. In addition, if you send us emails, you should be aware that information disclosed in emails may not be secure, possibly making it available to others. While we have security measures in place to help protect against the loss, misuse and alteration of the information under our control, we cannot guarantee the confidentiality of any communication transmitted to or from The Bar Fly.net through the Site or e-mail. The Bar Fly.net does not knowingly collect or solicit personal information from or about children under 13 except as permitted by law. If we discover we have received any personal information from a child under 13 in violation of this policy, we will delete that information immediately. If you believe The Bar Fly.net has any information from or about anyone under 13, please contact us at the address listed below. The Bar Fly.net reserves the right to change this policy at any time. Please check this page periodically for changes. Your continued use of our site following the posting of changes to these terms will mean you accept those changes. This policy and the use of this Site are governed by Connecticut law. Any claim related to the Site or this policy shall be brought in a federal or state court in Hartford, Connecticut, within one year after the claim arises. You agree no such claim may be brought as a class action. Users of The Bar Fly.net consent to the jurisdiction and venue of such court as the most convenient and appropriate for the resolution of disputes concerning this policy. The Bar Fly.net is controlled, operated and administered entirely within the United States. If you are located outside the United States, please note the information you provide to us will be transferred to the United States. You hereby consent to this transfer.